HomeIs Mold in a Car Dangerous? Is Mold in a Car Dangerous? Mold is a fungus that we commonly fight indoors, but unbeknownst to many of us this fungus can also be present in inconspicuous places like your vehicle, leaving you to wonder ‘Is Mold in a Car Dangerous?’. Mold can be nasty stuff, and dangerous nonetheless. Mold often refers to several different types of fungus that can grow almost anywhere and it will spread rapidly. It is often recognized not only by its discoloration but also by its distinct odor that it emits into the environment. And if mold is growing in your car, you bet you will be able to smell it in the small area! What is there to know about mold and how can you combat the growth of this fungus in your car? Mold originates from a mixture of humidity and moisture that leads to the dangerous development of mold. Both of these conditions can occur inside your car, particularly if you leave a window cracked or the sunroof open on a rainy day, or even if some sort of liquid spill happens on the floor of the car. The reality is that it takes a very minimal amount of moisture for mold to grow and only a few days for it to colonize. However, when mold grows in your car it can be a real pain to get rid of and can even destroy the interior of your vehicle. But what is worse is when you start to feel sick inside your car, leading you to wonder ‘is mold in car making me sick?’. The presence of mold in your vehicle can elicit health responses when exposure occurs, especially a fair amount of exposure. Mold in car health risks can include respiratory and skin irritations, lung infections, asthma, nasal congestion, wheezing, fever, and shortness of breath. These symptoms can occur from simply breathing in contaminants or spores released from mold, so can you imagine the potential risks of touching mold inside your vehicle. 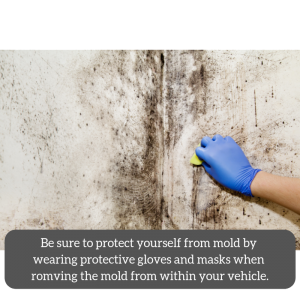 Be sure to protect yourself from mold by wearing protective gloves and mask when removing the mold from the vehicle. Once you are protected you can start the mold removal process of the mold from within your vehicle. 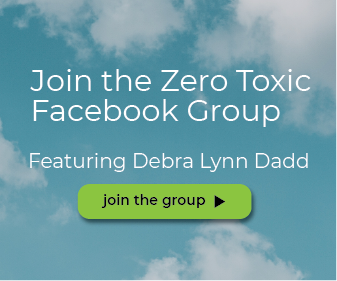 There are many miracle concoctions that people create to remove the mold from surfaces, however, these often times do not work to kill the mold and remove the VOCs. 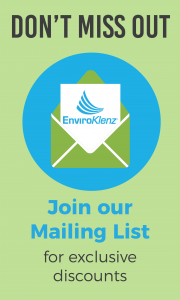 That is where EnviroKlenz comes in! 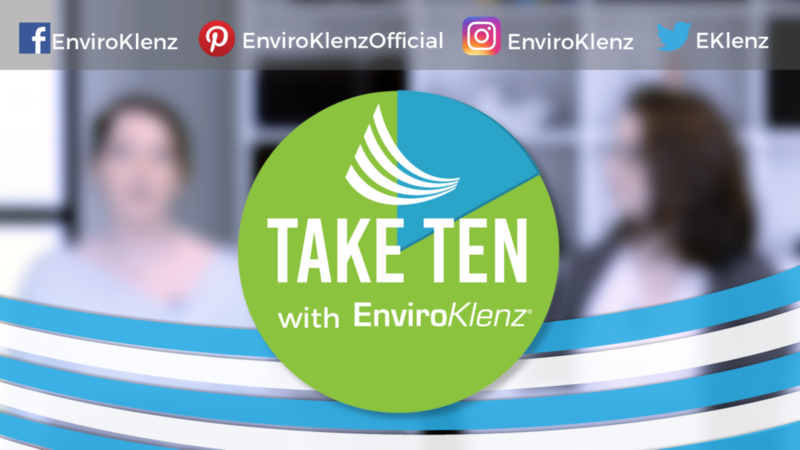 The EnviroKlenz Everyday Odor Eliminator is a fast solution to removing chemical odors and VOCs. Mold contains an amalgam of VOCs within its composition and with the easy use and application of the Everyday Odor Eliminator you can successfully remove VOCs from your car’s surfaces, and in turn make the air and environment inside your car safer for human health.